Shirts With Random Triangles: Georgia Running Backs Coach Thomas Brown Reportedly Defecting To Miami. Brown will reportedly remain with Georgia for the Dawgs appearance in the 2016 TaxSlayer Bowl on Jan, 2, 2016. 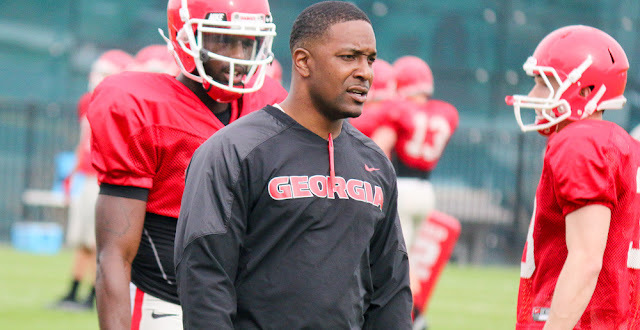 He has been Georgia RB coach at Georgia for one season, following a one-season stint with Wisconsin in 2014. Dawg Nation also reports Georgia director of player personnel Todd Hartley is also expected to accept a role on Richt's new coaching staff at Miami, and that other Georgia coaches may follow suit.